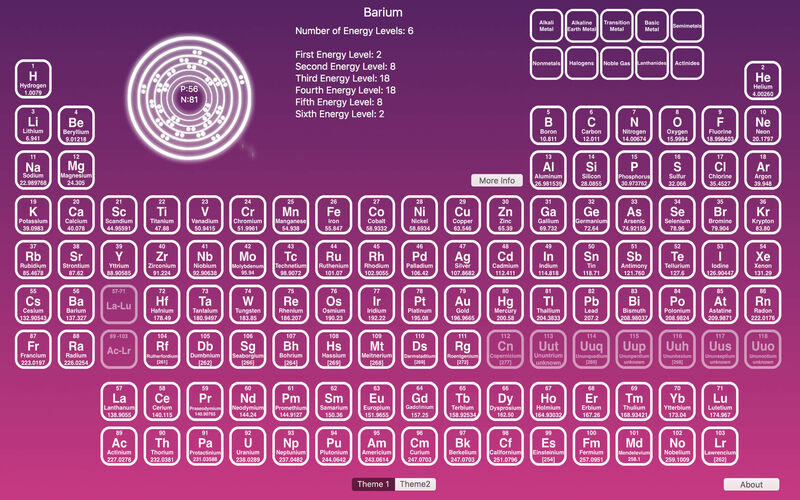 Explore the elements of the periodic table. Is there a better alternative to PeriodicTableElements? 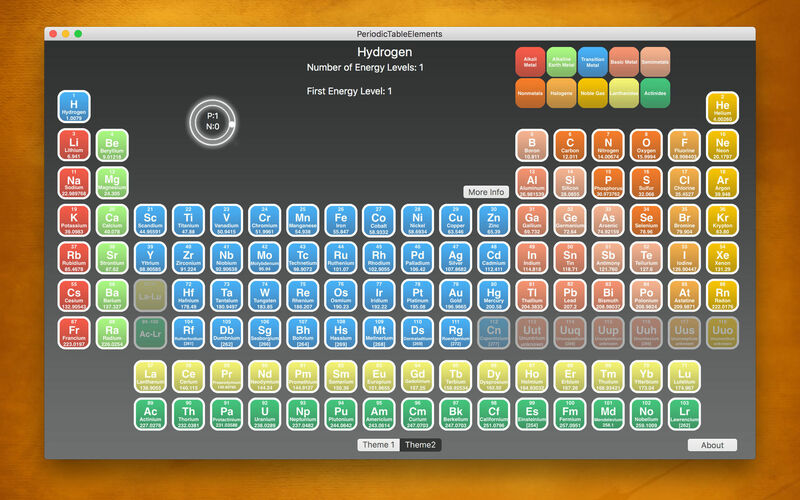 Is PeriodicTableElements really the best app in Teaching Tools category? Will PeriodicTableElements work good on macOS 10.13.4? 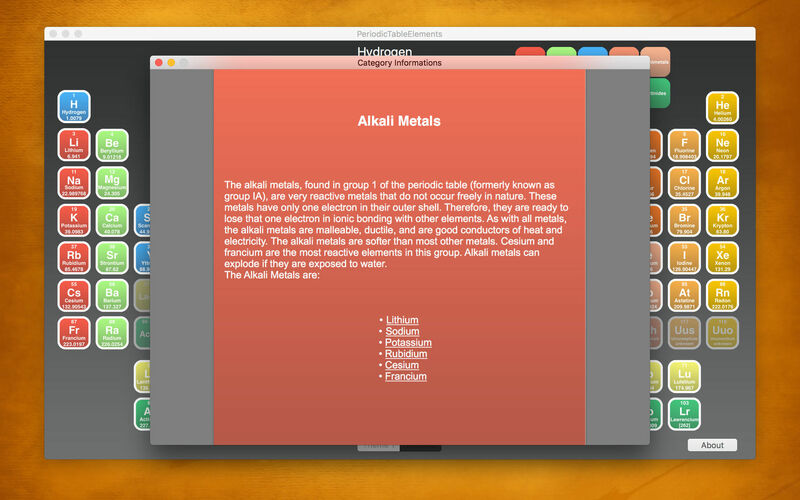 PeriodicTableElements allows you to explore the elements of the periodic table, as well as their attributes, in a simple, fun way. It is a perfect reference for working through homework problems. 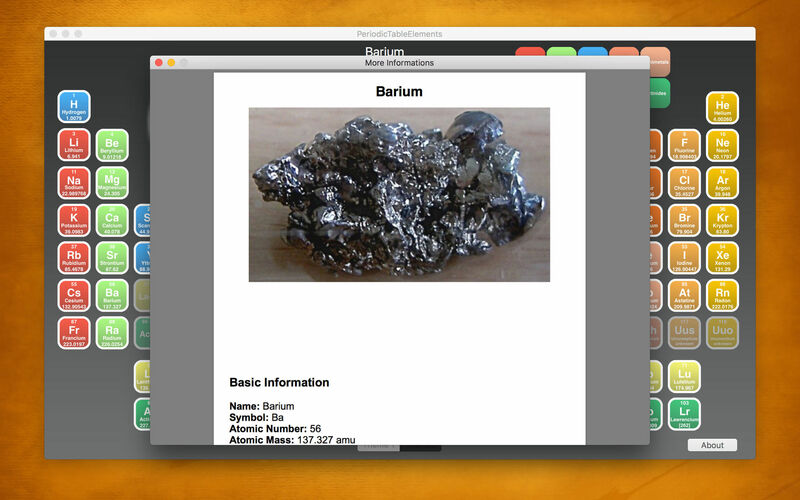 The app is ideal if you are a student, teacher, or a layman interested in chemical science. PeriodicTableElements needs a review. Be the first to review this app and get the discussion started! PeriodicTableElements needs a rating. Be the first to rate this app and get the discussion started!